A new "Music Videos" section has gone live in Apple Music, available to premium subscribers. The feature has been teased for a few weeks now, alongside iOS 11.3, but it seems to be rolling out ahead of the OS update. 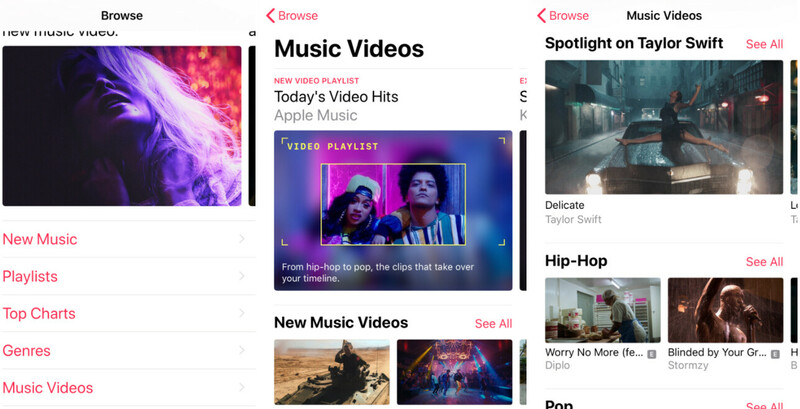 The new "Music Videos" category is tucked in the "Browse" panel, and is currently showcasing a couple of Apple Music exclusives and an Apple-curated "Today's Video Hits" playlist. Music videos are not a new addition to Apple Music, but thanks to the newly introduced dedicated video section, they can now be more prominently featured among other content. Video suggestions seem to be tailored to the user's preferences and location, 9to5Mac reports, with regional "hottest videos" appearing on a per-country basis. While the new "Music Videos" section was teased alongside iOS 11.3, it has gone live ahead of the update. The "Music Videos" category has already appeared for many iPhone and iPad users running iOS 11.2.6. Since we're here, can we talk about how good Finesse is? I swear there hasn't been a better mainstream hit in a really long time.